In a quatrain two ideas are set,- each line having 10 syllables and it follows a rhyme sequence. Poetic conventions are like a bowl into which ideas parallel or antithetical are poured. It has internal truth. Starts for the Dawn of Nothing-Oh, make haste! Idea of life a journey setting up camp during the harsh day and the idea of breaking it up when coolness of the evening sets in, are all too familiar for the desert dwellers. These two familiar halves are part of human condition but what they recall to mind is the transience of it. Two ideas complement one another and lead the reader to understand where their juxtaposition is leading to. The quatrain has internal logic or truth. Their familiar circumstances lead us to truth, meaning that the ideas transcend themselves to accept transience of life as true. Internal truth speaks only for art and literature of man. Now let us discuss this from another literary genre, the world of fairy tales. Remember the gratuitous line almost without exception tacked at the end of a story, ‘and they lived happily ever after’? The heroine in the Frog Prince by kissing the hapless prince under a curse sets him free and they are married. Happily ever after? In reality the prince after decades of married life could prove to be an oaf but then a fairy tale like The Frog Prince is concerned with internal truth and nothing else. Truth of their marriage had Leo Tolstoy treated would be run on similar lines as Anna Karenina. By idle talk, mind you sirs! About or conceal from the Board, tell me. Left behind. Not a word, to the Press,we have ‘t all. Such outward things are for others to worry. I am the most offending soul alive…. Buy me laurel of the dead as my own. No head but emotions as slop. So You shall, but leave your hot tears for me. Till I rouse you to lend bitter tears. Taken at the flood of the rabble! 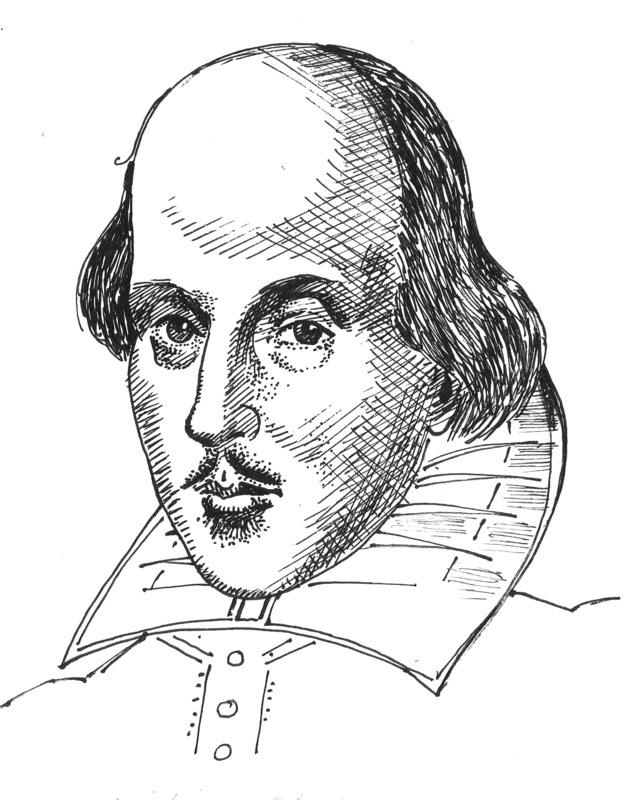 Shakespeare’s life is equated with the Elizabethan Age. Such is his genius. One might wonder how can a young lad with modicum of education, -typical grammar school syllabus with its devotion to Ovid, Bible and Prayer Book , unlike his contemporary Marlow who went to the University, surpass all others to be the representative man of the Age. It is such a serious question that defies a rational answer and many scholars have hazarded a theory to aver Bacon as the real author. As with every theory it has its supporters but literature is not respecter of class or scholarship. It has to smell life in its naturalness, even coarseness has its part. Scholarship can make a horse run to win the Derby but cannot make it fly like Pegasus. Here is the difference between Shakespeare and his rivals. His line trots and when flies it takes our breath away. So what was the secret of William Shakespeare? I shall come to it by and by. Beginning as a player he became the most celebrated playwright of the Age. It was a time when poets were considered a cut above the players similar to the subtle social distinctions that marked a composer than a flautist in the Baroque Age. He made wise career moves in taking shares of the Lord Chamberlain’s Company at its inception in 1594 and his star rose as with the fortunes of the Company. Its popularity was such its players were elevated to be regarded as the King’s Men on James I accession in 1603. He ended up as part owner of the Blackfriar’s theatre. In short his sound business acumen made him as the Stratford lad who made good in the City of London. Negative capability as defined by John Keats explains the ability of Shakespeare, whose academic credentials were merely rudimentary, to have excelled himself in writing plays that bear his name. The Bard of Avon despite his negative capability made up by exercising his imagination. Such is imagination and it belongs to the inner world. Shakespeare’s 450th birthday was celebrated quite recently and if I felt I owe at least a mention of him it is because of his incandescent genius. Every nation creates a benchmark that rarely can be surpassed nor one dare dispute its place. Legend of King Arthur is rightfully conceded as belonging in such a category. Legends are precisely set so high if any one even so much as try to meet it half in achievement would be creditable. Shakespeare lives in such rarefied atmosphere and shall continue to do so. Shakespear’s influence on the English language has stood the test of time thus far, with little sign of relenting.Echelons of British culture aside, even those who “don’t do Shakespeare” speak his words in their daily lives. Most of us will have quoted the playwright thousands of times without knowing it.Ever been “in a pickle” or had “too much of a good thing”? Perhaps friends have “eaten (you) out of house and home” or had you “in stitches” over a joke. There are many more phrases and words we owe the Bard who belongs to mankind except the language in which he clothed his genius. Genius cannot have a country anymore than a sword may be found in a scabbard.